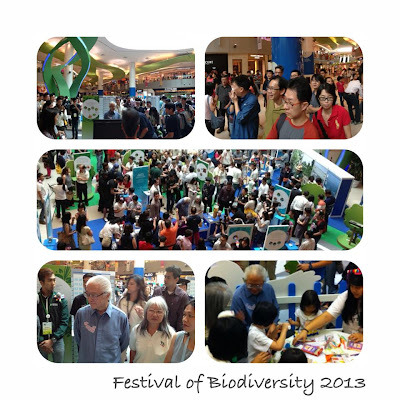 ButterflyCircle at the Festival of Biodiversity 2013! After last year's successful Festival of Biodiversity held at the Singapore Botanic Gardens from 26-27 May 2012, NParks and the Biodiversity Roundtable started planning for this year's Festival. After some discussions, the preference was to hold the Festival at a more public venue to encourage more Singaporeans and residents of Singapore to appreciate the diverse biodiversity that can be found on this little island. 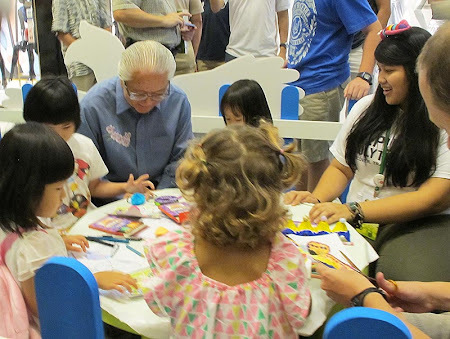 At the SBG, a large number of the visitors were already nature lovers, and "converting the converted" was perceived to be limiting the outreach and educational emphasis of the Festival. Hence this time around, the suggested venue for the 2013 Festival would be in a shopping mall, and specifically to reach out to the weekend crowds and families and to showcase what Singapore has, in terms of its amazing biodiversity. 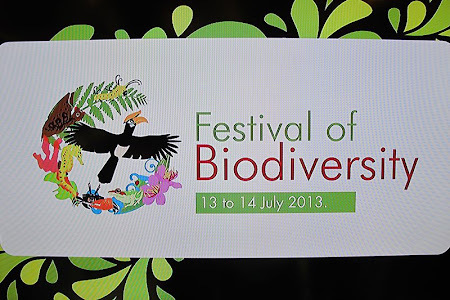 The Festival of Biodiversity (FOB) is an annual event organized by the National Parks Board in collaboration with the Biodiversity Roundtable. The inaugural festival was first held in May 2012. 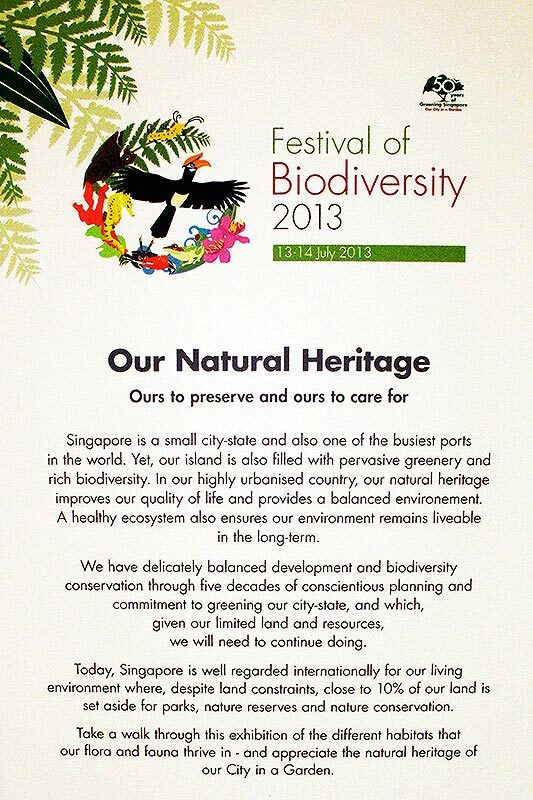 The FOB an event to celebrate Singapore’s natural heritage to bring about greater awareness of the rich biodiversity in Singapore. 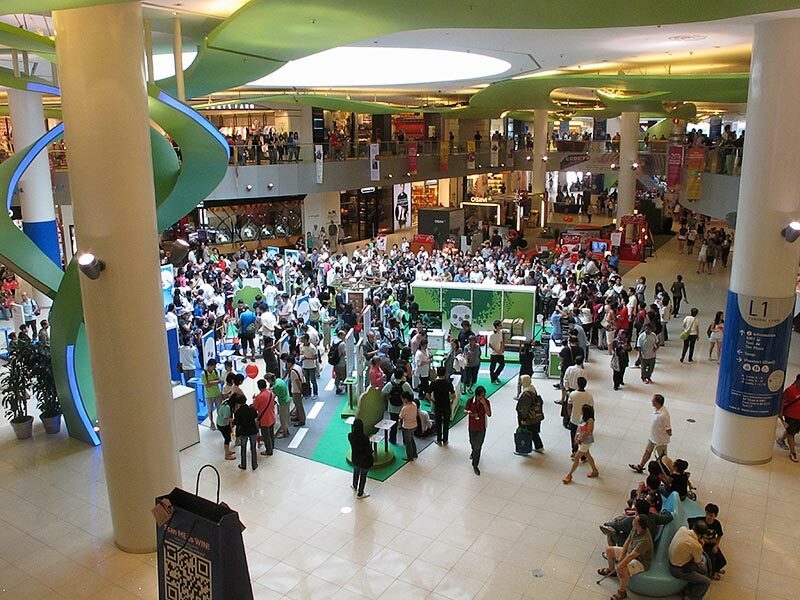 FOB 2013 was held at the atrium of VivoCity, Singapore's largest shopping mall. The FOB display area was located at the Central Court B, which was amply lit by natural daylighting via a skylight above the display area. 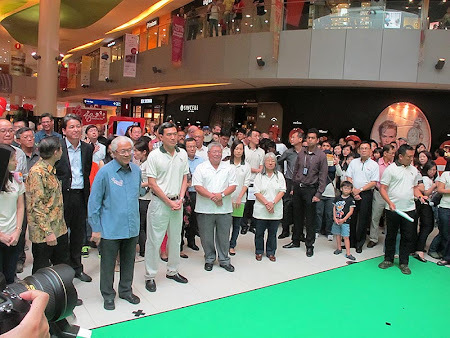 As both the venue and the display set-up were sponsored by corporate benefactors, the location and area for this year's FOB was more compact with an integrated exhibition concept, rather than like the previous year's booth concept. 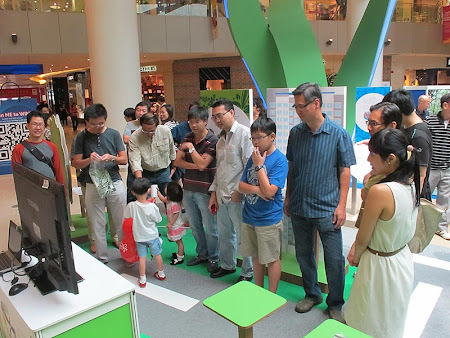 The display area was divided into three main sections featuring urban biodiversity, marine habitats and terrestrial habitats. The groups handling the marine exhibits and museum specimens took centre stage with their interesting offerings, especially to the ordinary laymen visitors. The rest of the groups had their opportunity to feature their respective groups' activities and work via videos and slide shows on the 40" flat screen monitors. 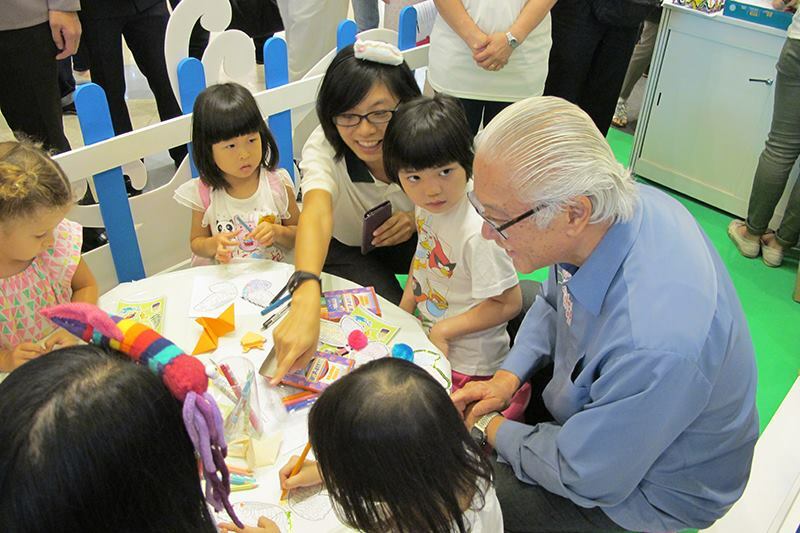 The event was graced by President Tony Tan (he was also the Guest of Honour last year). 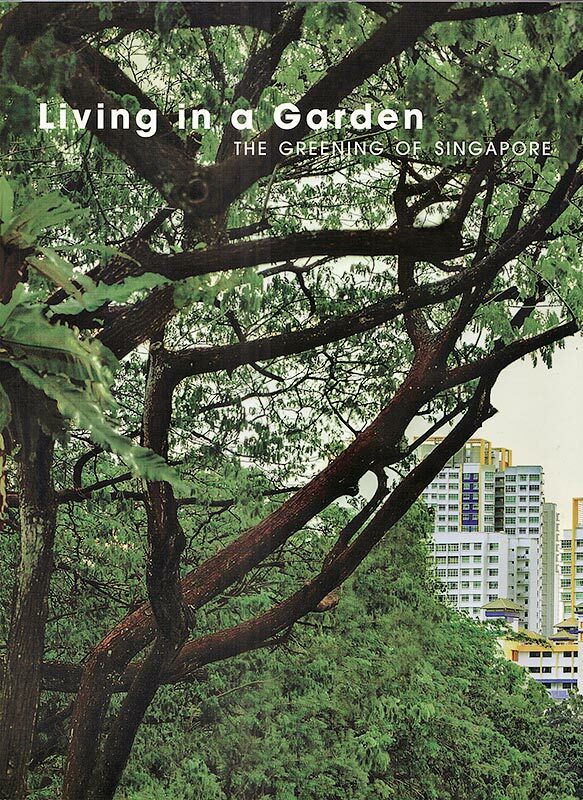 This year's FOB also saw the launch of the book "Living in a Garden - The Greening of Singapore" - a celebration of 50 years of greening in our City in a Garden. 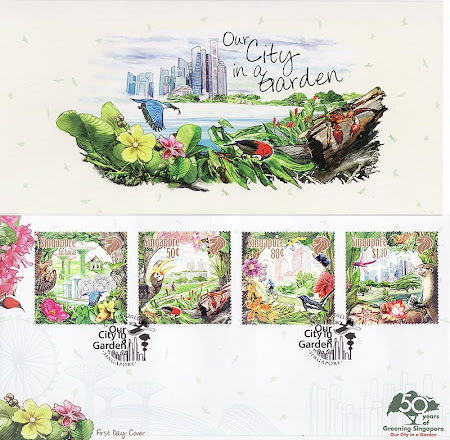 At the same event, we also saw the issue of "Our City in a Garden" stamps and first day cover. 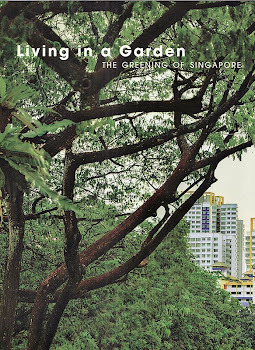 ButterflyCircle's Horace Tan's Spotted Blue Crow caterpillar was also featured on one of the stamps in the series. Look carefully at the 80 cent stamp below and see if you can spot the caterpillar. ButterflyCircle members were out in full support of the FOB 2013. The group also contributed to a video clip about BC and our activities. 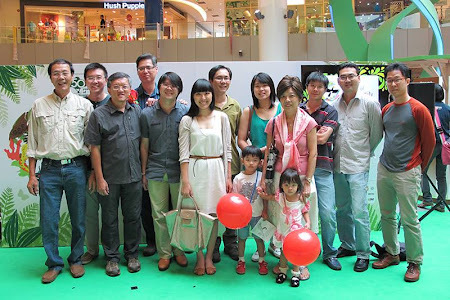 The video, directed and produced by ButterflyCircle member CJ Huang, showcased an amazing array of BC's photos, activities and contributions to the conservation of butterflies in Singapore. ButterflyCircle members watching our video! Also featuring their respective videos and slide shows were groups like the Tampines-Changkat Butterfly group, Nature Photographic Society (S), NParks, Republic Polytechnic, Raffles Museum of Biodiversity and others. 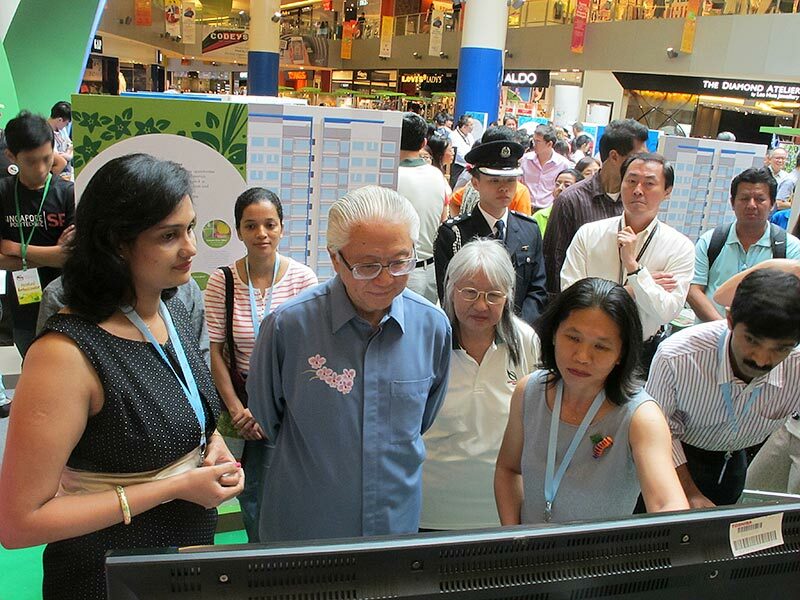 As the weekend public visitors streamed in to VivoCity, all the nature volunteers and groups who were at the display area were kept busy, explaining to the public and helping to create a greater awareness of Singapore's biodiversity. BC members ended our morning with a sumptuous lunch at one of the Chinese restaurants at VivoCity. It was an enjoyable time for everyone, who made the effort to get out there on a Saturday morning to support the FOB and also BC. 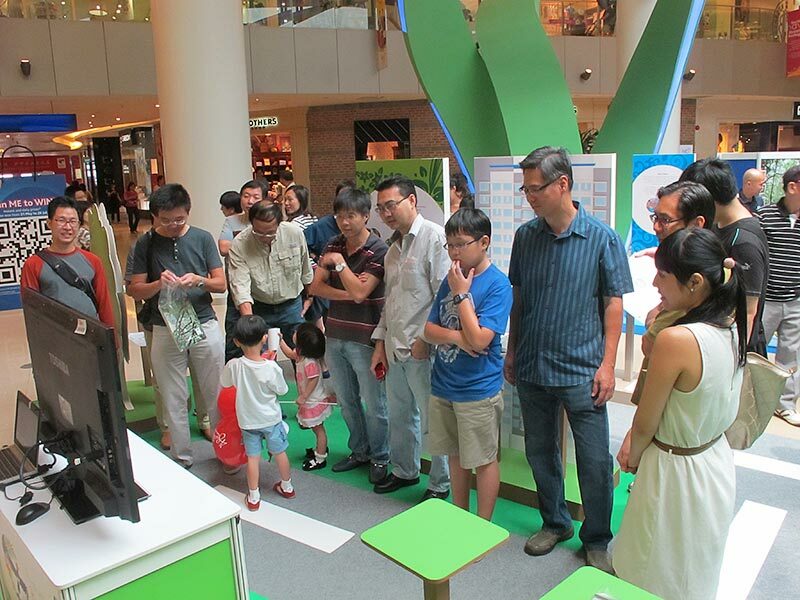 It was also a proud moment for everyone to view the videoclip featuring BC's high quality work. Veteran BC member Sunny Chir even brought his grandchildren to pave the way and nurture future BC members! Watch ButterflyCircle's Video that was prepared for FOB 2013!